Want to rock the perfect makeup look but don’t want to step out? Fret not as you can now have the best party makeup artist doll you up in the comfort of your own home. 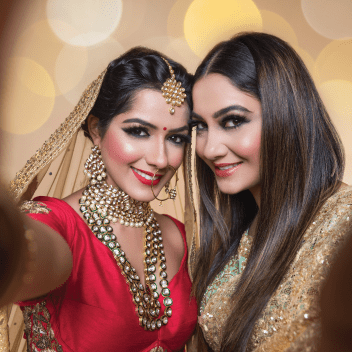 Get the perfect Insta-worthy look for that much awaited party by hiring one of UrbanClap’s finest party makeup artists in Chennai. They are here to give you a creative and ravishing makeover so that you look nothing short of a diva and all eyes are on you. She does what u need. Very professional makeup artist and helps in achieving the makeup and hair style you ask with ease. Very patient and does her work neatly. Satisfies our requirements. Friendly too. Saree draping, face makeup and hair style done perfectly. If you are going to host a birthday party, celebrate your anniversary, attending a wedding, or someone throws you a baby shower, you need to have a proper makeup done by a trained makeup artist. For any specific event, you can get a terrific makeup look that would look be shareworthy in those memorable snapshots. A professional makeup artist creates an enduring makeup look with a faultless base and a gorgeous eye makeup as well. Creating a good makeup look may be difficult to achieve alone. 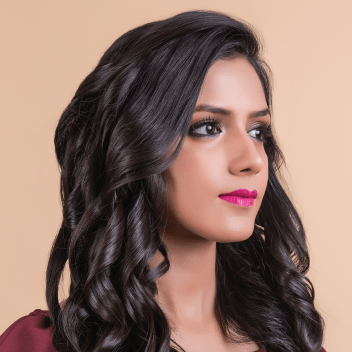 Qualified Professionals: We have only the finest party makeup artists in Chennai and they are proficient and highly skilled. High-quality Makeup: Our professional makeup artists only use legitimate products. Convenience: We send our expert makeup artists to your home with all the necessary means for applying makeup and for hairstyling, among others. Fast Service: Get dressed at your home by booking 3 hours ahead. The makeup can be applied easily when your face is moisturised. Moisturising prepares the face before makeup and the result will not be flaky. For the MUA to know what you are looking for, show photos of your preferred hairstyle and makeups as reference. Professional makeup artists will know which styles would go with the shape of your face and the type of skin you have. They also know which styles would go with outfit you have chosen. 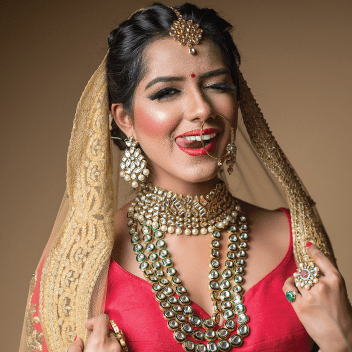 You can also show the MUA some reference photos of your preferred draping style, when you are getting dressed with a dupatta, or sari. To avoid messing up your makeup after everything is done, wear a button-down shirt or a top and also, put on a blouse in advance. To get ready where the function is going to take place, pack your dress along with your footwear, button-down shirt and jewellery before you head out of your home. Get any makeup product that you like for the MUA to put on you. For a slight touch-up at the venue, take a miniature touch-up makeup kit containing lipstick, moisturiser, concealer, foundation, blotting paper and some pins. DON’T get any facial treatment done between 1 – 2 days prior to the makeup session. Makeup should never be applied right after a facial. Convey your style choices and also, show the MUA some photos of your style preferences. Do not wait until the end of a makeup session to request the makeup artist for any changes. You should speak about your concerns during the makeup session as later you would not get the time to redo the makeup. Be clear of what you do not want or like. For example, you may not want a dramatic winged eyeliner or even any eyelash extension. So, you should be very clear to the MUA that you don’t prefer this or that. Your MUA would understand it perfectly. Assess how your makeup looks in artificial or natural lighting conditions by clicking your photos. The base should complement the skin’s colour. The tone of your neck, face, and back must be the same. If it is not the same, tell your MUA to apply foundation on the visible areas. If your makeup is flaking, look for patches on the skin that are dry. The makeup artist can softly dab moisturiser on the area to fix it. The acne marks, pimples, and blemishes must be hidden until you are satisfied. You must know that hiding them completely could make you look unusual. The MUA can tone down the makeup look or create a bold one if you ask her, specially, when the makeup isn’t meeting your expectations. To make sure that the kajal lasts longer, dry out the waterline with a cotton-tipped swab prior to putting on the kajal. For the makeup to last long, a primer must be applied on the face as well as over the eyelids. It is essential to be fully relaxed while hairstyling. Let the MUA know if the pin tugs and makes you uncomfortable. The makeup artist will change the position of the pins. Move your head around to see if the hairstyle is in place and holding up properly. You should do the same thing by moving around while you are getting dressed in sari to see whether the pleats aren’t opening or the sari doesn’t open when you sit or stand.